Chasing after a dream can be a long and at times frustrating journey, says Lee. For me, the breakthrough finally came when I learned to rely on God to lead the way. Some amazing, supernatural things began to happen when I started trusting in Jesus. One particular Bible verse in Proverbs has helped throughout the journey! Proverbs 3:5-6: Trust in the Lord with all your heart and lean not on your own understanding; In all your ways acknowledge Him, and He will direct your paths. In the Spring of 2005 Lee found success when In my Heart is a Well from his Songs from the Hourglass CD started getting airplay in Europe, Australia, and New Zealand. After Lees European radio tour that July, In My Heart is a Well hit #1 in The Netherlands. 2005 was a very good year for Lee Whitaker! Whitaker's first Christian release, Alabaster Jar, breathes life into some familiar Bible stories. In the first single, The Winds of Pentecost, we experience the birth of the Christian church as chronicled in Acts 2. 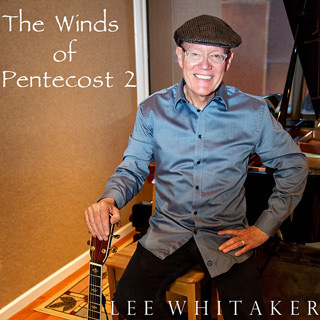 When I heard Pastor John Hagees sermon on Pentecost, exclaims Lee, Gods creative wind blew on me, and the words and music began to flow. The Alabaster Jar, based on Mark 14 tells the story of a woman who was criticized for anointing Jesus with expensive perfume. Jesus then told the disciples that this woman had done a good thing for Him. The lyrics get personal when asking the question, Do you have an alabaster jar to present to the Lord? In The Calling, God carries out His mission through ordinary people who often feel ill-equipped. He gave Moses and Jeremiah and countless others what they needed, and Hell do the same for us! "Lord I Need a Miracle", the third track on Alabaster Jar, gives all of us hope through prayer when facing difficult situations. Many are relating to this song as it quickly moved into the top 10 and hit #1 for four weeks on the National Airplay Top 50 Gospel Chart after its release. "Lord I Need a Miracle", an inspired song, will hopefully give you peace and comfort! It is Whitaker's hope that the songs in Alabaster Jar will continue to resonate with believers and non believers alike. I feel God has been using Alabaster Jar for his glory, says Whitaker. His newest single, "Prepare the Way" tells of the prophet Isaiah's predictions of the coming Messiah and the Angels message that Mary would give birth to the Holy One. "Prepare the Way" is the perfect every season song because Jesus is coming again, and we must "Prepare the Way". God continues to bless Whitaker's latest release with over 15 weeks in the top 10. You can find Lee on most Sunday mornings worshipping at the Pitman United Methodist Church and playing with the praise band.